Once you explore this region, you’ll know exactly why I’ve chosen to take people out to explore this culinary county, just an hour south west of the Waterloo region. Don’t be too hard on yourself if you didn’t know, to be fair I didn’t know either, not until a friend of mine connected the dots for me - then the lightbulbs went off! I’d spent many weekends digging my toes into the sandy beaches, sipping on cocktails and camping under the stars in the hidden gem of our divine province. How did I miss it? Well, just like the big city, this county is made up of several districts, and if you’re not a country girl, or guy, you may not be familiar with referring to it as Norfolk County. However, once you hear the beach town names such as: Turkey Point, Port Dover and Long Point, the lightning bolts may strike you too! Am I right? Just in case, here is a map of the area to give you a visual connection to this up-and-coming county. Many people I meet connect with Port Dover, the beach well known for the annual biker event extravaganza, hosted every year on Friday the 13th - this town’s claim to fame. Ring any bells? Port Dover turns into a huge street party with vendors, food delights, live music and entertainment galore. I often refer to it as “Ontario’s Mini Vegas”. The streets are lined with motor bikes of all kinds, and tourists, bike enthusiasts and curious passerby’s walk the streets to take in all there is to see, smell and hear during this 48 hour town takeover! It’s something to see, but it’s not all that Port Dover, or Norfolk County, is known for! This area really is a culinary delight, and while that may come as a surprise to you, your palette may soon be salivating over the fresh food creations that come out of this area. So why is that? 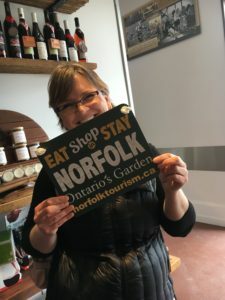 Well, not only is Norfolk a great sandy beach destination, but it is also coined as “Ontario’s Garden”. Not at all a shock once you learn that Norfolk is the leading farming region in Canada! Yep, you read that right! Kind of amazing to have that right in our backyard, isn’t it? 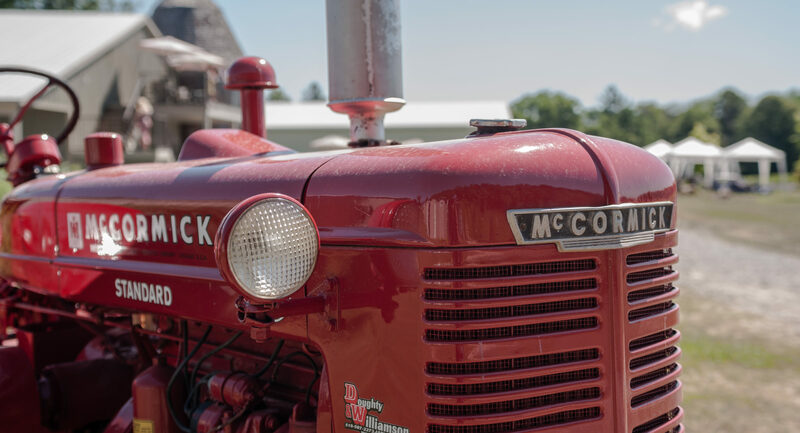 They are the #1 grower in the country of cherries, asparagus, peppers, ginseng, peanuts, sweet corn, sweet potatoes and pumpkins – and man oh man, the corn and cherries are incredible! If that isn’t enough, they are also the #1 grower in Ontario for strawberries, rye, squash and zucchini and cabbage…AND in addition to that, they have two strawberry seasons, and are in my opinion, the best damn strawberries on the planet. Talk about fresh! See why this region has such foodie power? They grow just about everything, making fresh foodie creations an obvious evolution, and I can tell you this town has many of them! So grab your fork, and your foodie friends, and check out what this agritourism region has to offer.